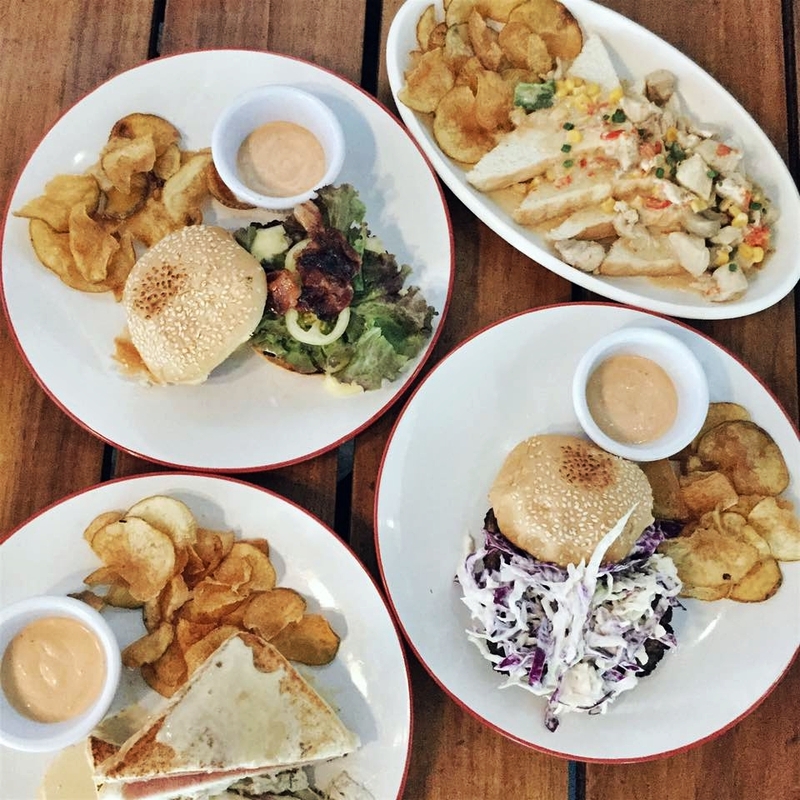 The Groceteria is the brainchild of Chef Miguel Cordova, who also happens to be the owner of DOVA Brunch café. In fact The Groceteria is the same place where the first branch of Dova is, but with the relocation of DOVA to Megaworld Iloilo, Chef Miguel decided to turn the place into something different, hence the birth of The Groceteria. From the word Grocery and Cafeteria, the Groceteria promises a dissimilar concept from DOVA. 'Coz aside from its cafeteria priced dine in comfort foods. It offers frozen dishes and other goods such as purple rice, bread, etc. Bags packed and ready to go on vacation? Make sure you’ve got everything you need for travel documents, cash and credit cards, appropriate clothing, toiletry bag basics, to vitamins and medicines. You will also need MEGAFIBER to counter constipation or diarrhea attack that can potentially ruin your holiday. Constipation and diarrhea are two common woes that spoil the fun for travelers. Travel constipation can be due to a sudden change in your usual diet. It may also be caused by a disruption in your daily routine or bathroom habit. If you’re on the road at the time when you ordinarily relieve yourself, the tendency is to suppress the urge to move. Not going when you needed to results to hardened stools. The unease of using other bathroom facilities can also prevent you from doing your thing. MEGAFIBER can counter constipation or diarrhea attack that can potentially ruin your travel plans. As for diarrhea, most people point to contaminated food or water as the culprit. Eating at the wrong time and trying various delicacies or local dishes for the first time can also lead to diarrhea while on vacation. 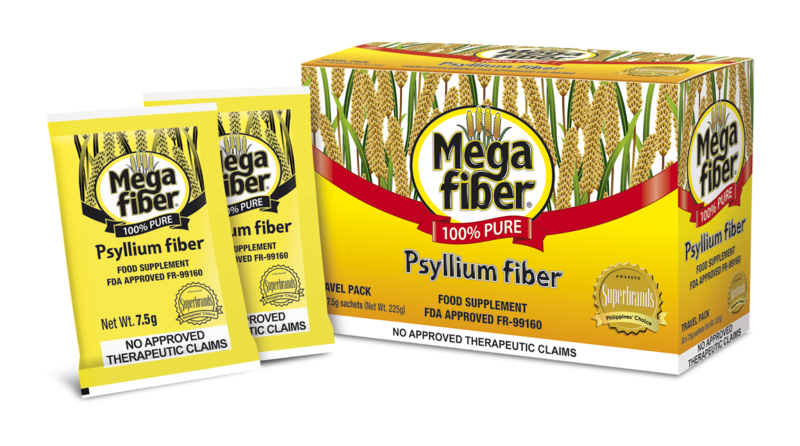 MEGAFIBER effectively treats both constipation and diarrhea. It is available at Mercury Drug outlets nationwide in bigger 7.5g travel sachets, available per piece (P11) and boxes of 30 sachets (P325), and in bigger 300g jars (P430). It is also offered in half-kilo family size packs (P705) for even greater savings. Each MEGAFIBER sachet and jar pack more fiber goodness to give more value for your money. If constipated, take one tablespoon of MEGAFIBER mixed with your favorite drink ideally during breakfast, and drink lots of fluids all day. When MEGAFIBER absorbs liquids, it forms a slippery film and swells by 8 to 14 times its normal weight and forms a soft, bulky mass that passes quickly and easily through the colon and acts like a sponge in the intestinal tract. It also helps stimulate the reflex needed for the bowels to empty. Since MEGAFIBER is a non-irritant bulking laxative, it does not result in an immediate need to find a toilet which can be embarrassing. MEGAFIBER sachets are perfect to carry with you when you travel. If suffering from diarrhea, you will also benefit from MEGAFIBER since it not only absorbs water from watery stools, its bulking effect slows down the bowel and reduces bowel movement, reducing the number of times that you must go to the bathroom. Increased intake of fiber absorbs excess water in stools and consequently allows the intestinal muscles something to hold on to. Unlike other medication, taking new MEGAFIBER to stop diarrhea does not result in constipation. When treating diarrhea, take the same dose of MEGAFIBER and lessen your fluid intake. Aside from promoting digestive health, MEGAFIBER also helps regulate blood sugar and uric acid, reduces cholesterol, and assists in weight management. It is FDA-approved and is all-natural. It does not contain additives, sweeteners, preservatives, artificial colors or flavoring. It is also cholesterol-free, yeast-free and gluten-free. It is nothing but 100% psyllium fiber, nature’s best and most efficient source of natural dietary fiber. For more information, visit MEGAFIBER in Facebook or go to www.megafiber.com.ph. For inquiries, you may email info@megafiber.com.ph or call the MEGAFIBER Customer Service Hotlines 524-6549, 354-2208 to 09 and 09474890262, 0928-3224217.